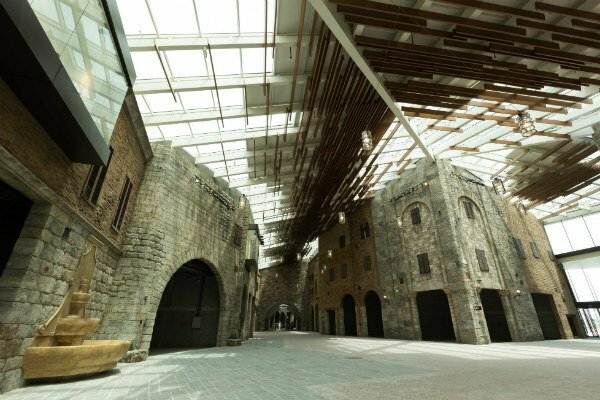 The first phase of Dubai’s Italian themed Outlet Village mall has opened its doors in Jebel Ali. Phase one spans 1.5 million square feet with additional phases to add a further 3 million square feet, with space for 400 brands. The mall is inspired by Tuscan hilltop town and UNESCO World Heritage site San Gimignano and is expected to welcome 30 million visitors annually. Merass said shoppers could find Ted Baker, Tommy Hilfiger, Diesel and BCBGMAXAZRIA stores at opening alongside multi-brand stores Priceless and Etoile hosting luxury brands including Fendi, Tom Ford, Jimmy Choo, Valentino, Tory Burch, Givenchy, Dolce & Gabbana and Kenzo. The mall, which opens from 10am to 10pm on weekdays and 10am to midnight Thursday to Saturday, will also feature the first outlet concepts from Galeries Lafayette, M Missoni, BEBE and Roberto Cavalli. “The Outlet Village is part of Meraas’ commitment to build on the Dubai Fashion 2020 strategy, helping to diversify the fabric of the city’s retail infrastructure and bolster Dubai’s position as an evolving fashion capital of the world,” said Meraas Group chairman Abdulla Al Habbai. Other features of the mall include several fountains, a stone wishing well and a variety of food and beverage outlets. Shoppers can use the malls 2,000 parking spaces, a valet service or take complimentary ‘luxury coaches’ from hotels and tourist destinations including The Beach at Jumeirah Beach Residence.